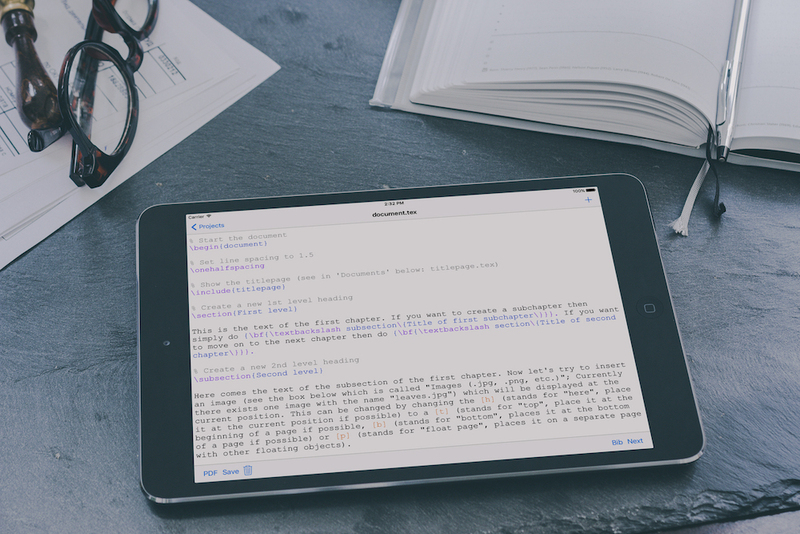 VerbTeX allows you to create and manage LaTeX projects directly on your iOS device and generate a PDF by using the LaTeX service available at verbosus.com. You can collaborate with other users by using Dropbox (Local Mode) to share your work and work anywhere at anytime. Automatically synchronize all your local projects with Dropbox. You simply need to link to Dropbox and VerbTeX takes care of the rest. VerbTeX uses the webservices available at verbosus to generate a PDF from your LaTeX code. There's a full TeXLive distribution working in the background so you have the full power at your fingertips. The editor will highlight LaTeX commands and formulas for you so you can easily focus on your content. VerbTeX will determine and upload all required files that are available to generate the PDF.